The immediate past Chief of Air Staff, Air Marshal Adesola Amosu (retd. ), has according to reports returned a total of N2.3 billion to the Federal Government. News Agency, Punch, reported that the immediate past Chief of Air Staff issued two bank drafts to the tune of N2.3 billion to the Federal Government being part of the funds allegedly diverted by his office as the Chief of Air Staff. Recall that news broke some weeks ago that houses belonging to the former chief of air staff, Amosu, worth over N500 million was seized by the anti-graft agency. The anti-graft agency had also further recovered a total of N381 million from the ex-Air Chief’s wife, Omolara. The recovered N381 million from Omolara was however recovered in three tranches of N180 million, N101 million and N100 million. 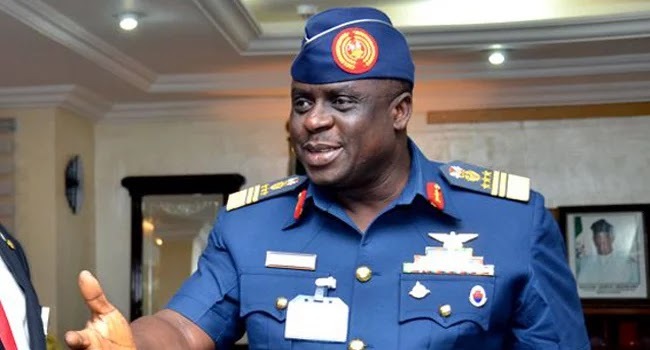 According to the records, the cumulative amount which has been recovered from the former air chief has totaled at least N4 billion in cash and assets.